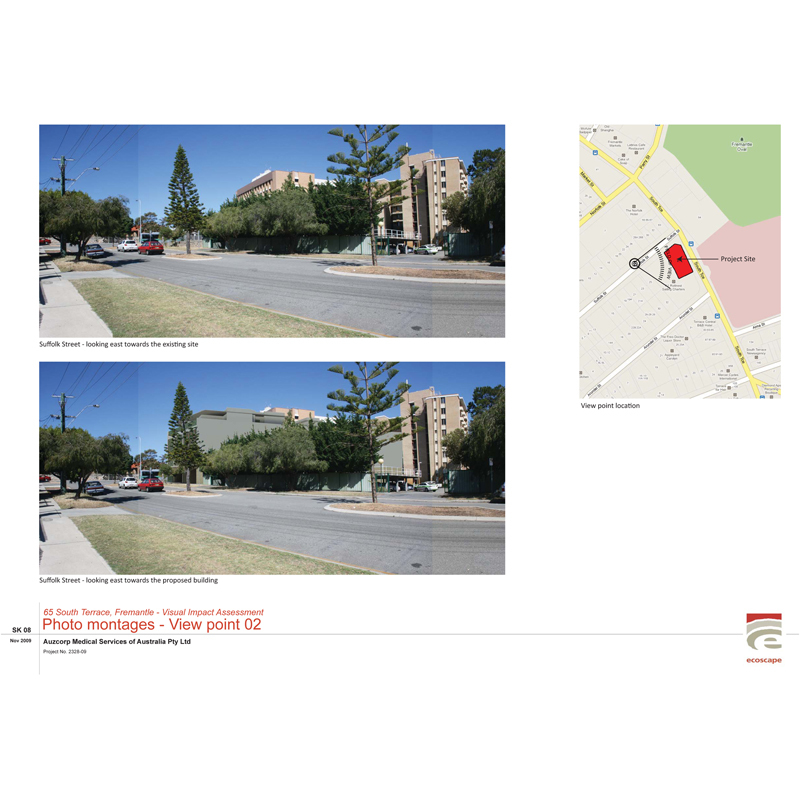 Ecoscape was engaged by Auzcorp Medical Services to undertake a Visual Impact Assessment and supply an expert witness statement and testimony to the State Administrative Tribunal (SAT) for the proposed Day Medical Centre in Fremantle. 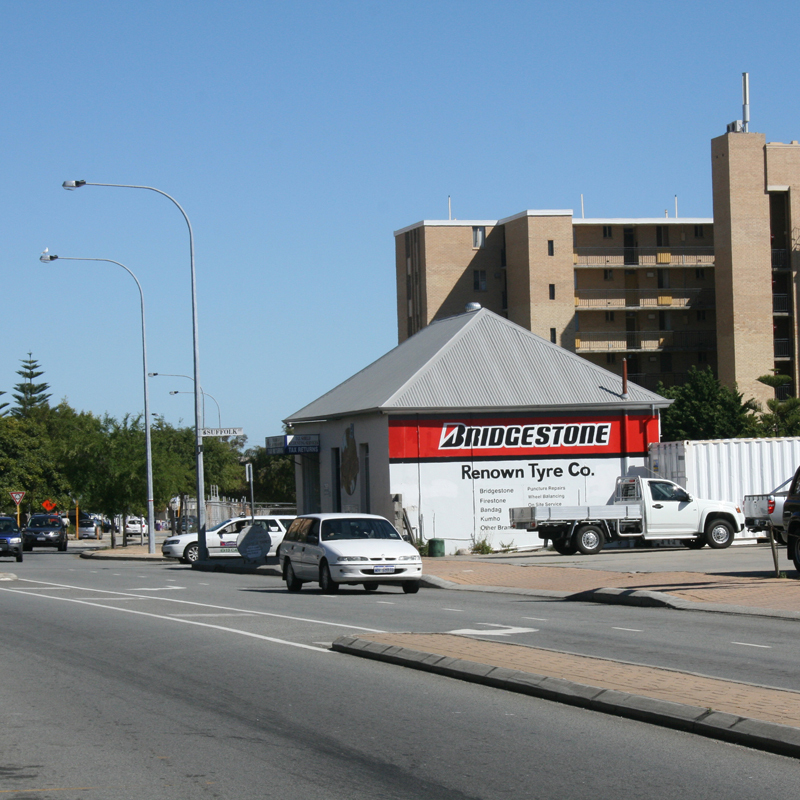 Ecoscape was engaged by Auzcorp Medical Services to undertake a Visual Impact Assessment of the proposed Day Medical Centre at the corner of Suffolk Street and South Terrace, Fremantle. 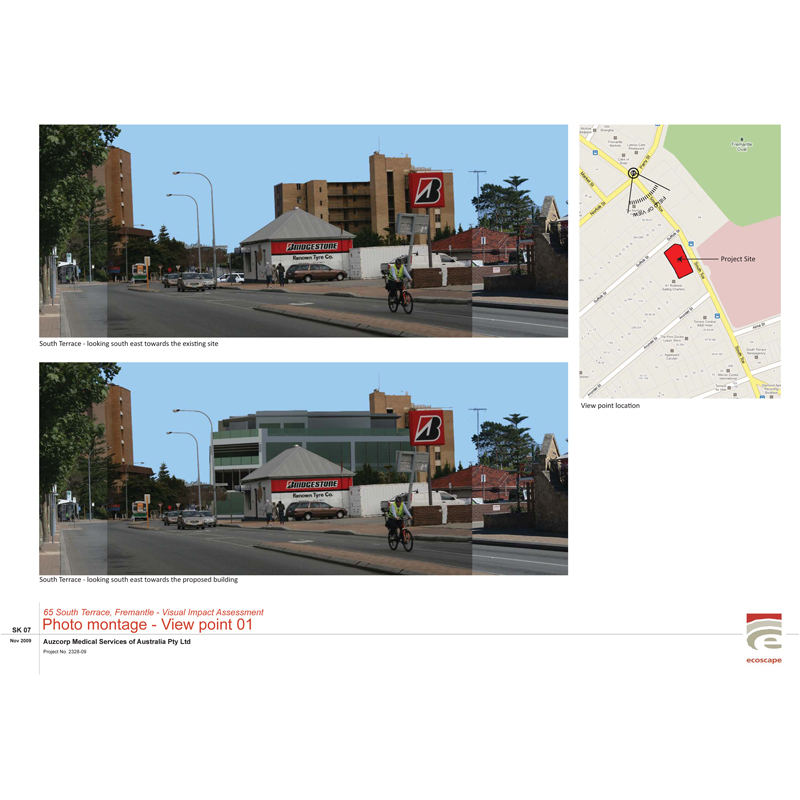 The proposed building was assessed in relation to the surrounding built form and streetscape, on the basis of an increase in building height from three storeys to four storeys. 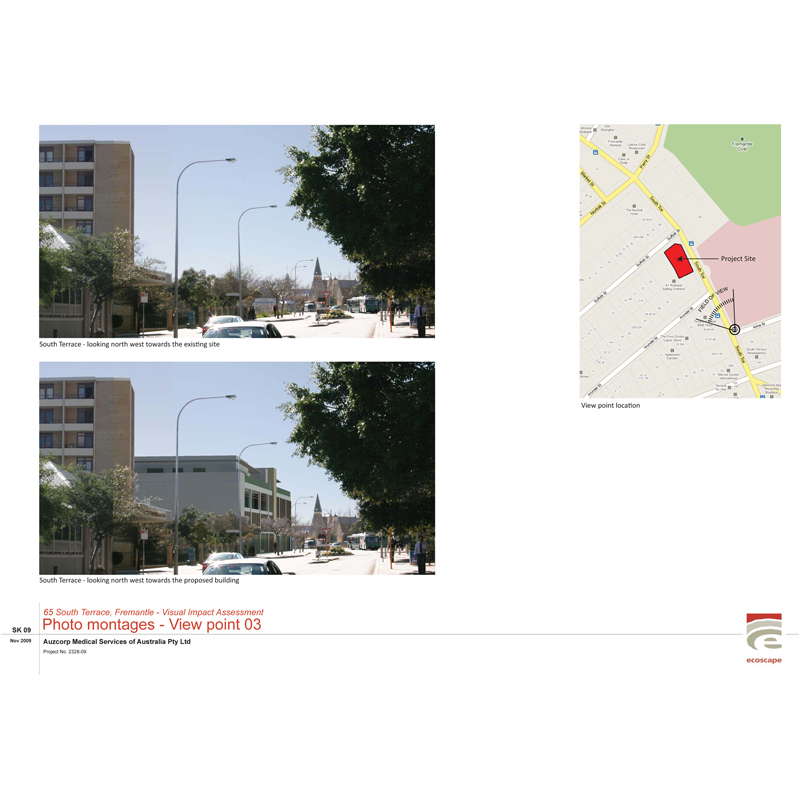 Photo montage analysis and 3D modelling were used to demonstrate the visual change to the streetscape with the proposed increase in building height. Ecoscape also supplied an expert witness statement and provided testimony to the State Administrative Tribunal (SAT).